What mind-blowing tech will we be using in five years? Motoring technology has never stood still. Manufacturers have constantly pushed boundaries, from engines and chassis to the nuts and bolts of the assembly plants. Every manufacturer wants their new model to be faster, safer, more desirable. This has always been true in the past, and will always be true of the future. But, what will be the most ingenious inventions in vehicles over the next few years? What innovative improvements will change the way we think about driving? And, will road users used to standard car or bike insurance soon need some kind of futuristic policy? 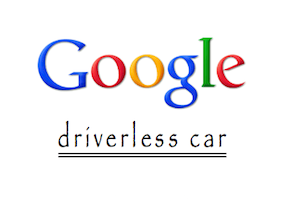 Autonomous cars will be a serious game-changer. And they’re definitely coming. Google’s self-driver is already on Nevada’s public highways, and both Toyota and Audi are developing autonomous prototypes. These cars use GPS, radar, 3D cameras and even laser range-finding technology to map out the road environment and safely navigate their way to a location. Self-driving cars could revolutionise the way we drive. They could make driving safer by cutting road fatalities. They could increase our quality of life by lowering stress and freeing up time. They could benefit the economy by reducing congestion and increasing productivity. Head-up displays (HUDs) will be familiar to online gamers and gamblers. HUDs overlay information about your environment in your main line of sight. 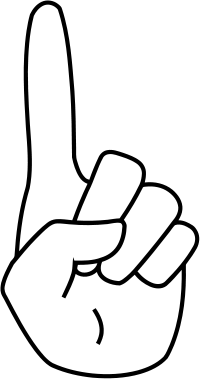 For gamers this means viewing the items collected in the game. For gamblers it means ‘reading’ your poker opponents by viewing data about their playing habits. HUDs could give drivers all the information they could ever need – all without needing to take their eyes off the road; information like maps, speed, fuel, in-car entertainment, traffic updates, general news alerts and social networking interactions. HUDs mean more information. And more information inevitably means more distractions. But, the prospect of having increased knowledge about your environment also means being able to make more informed decisions, which will be pretty empowering. Apple’s voice recognition tool Siri hasn’t set the world alight. The aspirational ads show people asking it about the weather and social appointments. In reality, people just ask Siri bizarre questions to see if Silicon Valley programmers thought to include an answer. So what will Siri do for driving? Well, you’ll be able to select music on your iPhone and set Sat Nav directions. But, with Siri’s reputation for accuracy you could end up in some strange places – geographically and musically. So will typical car voice recognition merely involve intense raging at an inanimate object? Maybe not. Imagine multi-lingual tech providing real-time translations when you’re abroad. Imagine researching a destination on your way there. Imagine real-time searching and planning when you’re enroute to an event. 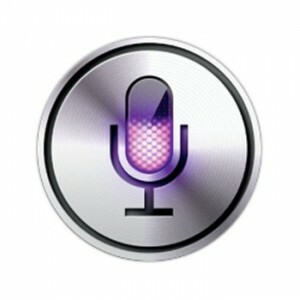 Voice recognition might just have a future. Who knows, perhaps one day an improved version of Siri will end up driving your car for you. The tech firm QNX has developed an autostereoscopic (virtual) dashboard that will pop out in front of the driver and display gauges and maps in 3D. Cleverly, the system tracks the movements of your eyes, displaying separate information for each eye and repositioning the image depending on where you’re looking. But, will the 3D dashboard be truly immersive and add value to the driving experience? Or, will it be like the motoring equivalent of paying over the odds to sit through a two-hour film in 3D – the initial euphoria of something new and exciting gradually fading and being replaced with a headache (and someone waggling a sword in your face)? 3D dashboards could actually be a useful addition to the collection of current car tech. For a start, there’s no annoying glasses making everything darker. Also, there’s an obvious benefit to a three-dimensional route map stretching out in front of you. The UK electronics firm Plessey Semiconductors has developed a sensor system that can determine the very first signs of fatigue by wirelessly monitoring respiration and heart rate. How is this done? By making use of seven sensors embedded into the car seat, engineered to measure the little electrical signals that your body produces (even through your clothes). If the system registers that your heart rate is slowing, it’ll set off a concerned-sounding alarm to remind you to pull over and rest. Plessey Semiconductors builds on existing tech from Volkswagen and Hyundai, who already offer tiredness detector systems that measure driving actions that could indicate drowsiness, such as certain patterns or trends of brake and steering use. So the new models are rather cleverly looking at the same metrics, but looking at what your body rather than what your body does. It’s hard to imagine many downsides to this one. Unless the sensors respond to tiredness by shocking you with electric volts. Andrew Tipp is a writer, blogger and editor. He has previously written about motor racing, vintage vehicles and road safety. Andy is a fan of tech, gadgets and Formula 1, and when he grows up – he’s 29 – he plans to drive for McLaren. Photos courtesy of Google, Apple and Plessey. The US economy may have contracted in the fourth quarter of 2012, but the good news for the start of this year is once again coming from the auto industry. Data supplied by Autodata Corp. shows that US sales for Jan. 2013 rose by 14.2 percent, beating analyst expectations. January light-vehicle sales of 1,043,103 units compared to 913,287 vehicles sold in Jan. 2012. Among major manufacturers Toyota led the rise with a 26.6 percent gain followed by Ford at 21.7 percent, Chrysler by 16.4 percent and GM at 15.9 percent. Honda finished up by 12.8 percent and Nissan registered a 2 percent increase month over month. Prius sales continue to fuel Toyota’s growth. Toyotas surge was apparent across the board with its hybrid sales up by 45.4 percent. 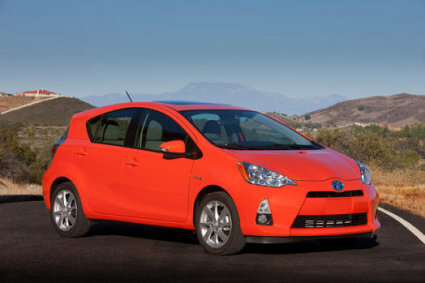 Specifically, its Prius family recorded 15,772 units sold, an increase of 36.5 percent. Its Camry sales approached 32,000 units while its Corolla sales neared 24,000 units for the month. Toyota brand sales were up by 26.1 percent, Scion surged by 38.4 percent and Lexus sales jumped by 32.1 percent. The sales pace we saw in the fourth quarter of last year rolled into January, exceeding our expectations for the industry,” said Bill Fay, Toyota Division group vice president and general manager, Toyota Motor Sales, U.S.A., Inc. “Toyota started the year off strong, with total sales up over 26 percent, more than double the industry average. With the 2013 Avalon and 2013 RAV4 off to a great start, our focus remains firmly on new products and taking care of our customers. Ford recorded its best Jan. in seven years. Ford brand sales were up 23.3 percent while Lincoln sales dropped by 18.2 percent. Ford noted that its luxury brand was hampered by limited availability of its all-new MKZ sedan. Big gainers for Ford included its F-Series trucks, up by 21.7 percent, and its Fusion sedan, up by 64.5 percent on the strength of 22,399 units sold. 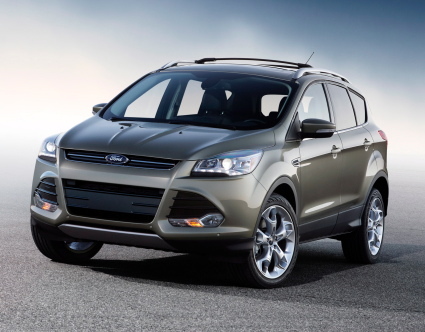 Ford crossover sales continue to be powered by the Escape. Chrysler sales continue to climb with the automaker registering its 34th consecutive month of year-over-year sales improvement. Chrysler also says that it was the top-selling automaker in Canada in Jan. Jeep sales fell by four percent as the absence of its Liberty SUV has been felt. Nevertheless, Jeep Compass sales were up by 33 percent. Other strong sellers for Chrysler included the Fiat 500, its Ram truck line, Dodge Avenger and Dodge Challenger. In recent months GM has lagged the industry, but for Jan. it beat the average. Cadillac led the four-brand surge, with sales increasing by 47 percent. Buick followed with a 31.9 percent increase followed by GMC at 23.4 percent. Chevrolet sales rose by 10.9 percent. Big sellers for GM included its full-size Chevrolet and GMC pickup trucks, the Cadillac ATS and the Buick Enclave. Honda sales rose on the strength of its all-new Accord, selling just shy of 24,000 units for the month or up by approximately 10,000 Accords sold in Jan. 2012. Crosstour and Pilot sales also fueled brand growth for the month. Acura RLX sales by 4.1 percent as the brand awaits the release of its all-new RLX flagship sedan. Acura’s newest products continue to drive our sales momentum as we begin a new year, said Jeff Conrad, vice president of Acura Sales. With the positive reception of the all-new Acura MDX Prototype in Detroit, and the upcoming launch of our new flagship RLX sedan, Acura is poised for even greater success in 2013. 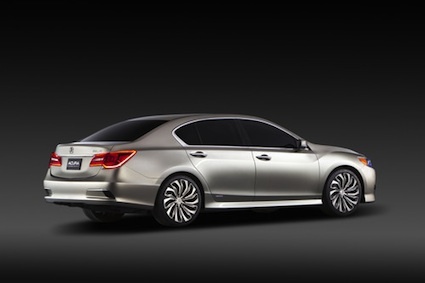 Acura’s new RLX flagship debuts this spring. Nissan brand sales rose by 1.8 percent while Infiniti sales increased by 4.9 percent. Contributing to Nissan’s rise were sales of it Pathfinder, Sentra and Versa models. For Infiniti, its sales increased on the strength of its QX56 full-size SUV. e up by 31.7 percent and Jaguar LandRover up by 24.8 percent. Subaru sales rose by 21.3 percent, while Daimler was up by 10.7 percent. Volkswagen sales increased by 7.1 percent while BMW increased by 2.3 percent. Hyundai was up 2.4 percent while Kia sales rose by 2.2 percent. Mitsubishi and Mazda sales were down, while Volvo finished up by 9.3 percent. Will the sales surge continue for 2013? Given that past predictions have come in under market realities, they just may. Pent up demand is still a big factor as the average age of a car on our roads is about 11 years old. R. L. Polk & Co., for instance, has predicted sales of 15.3 million units for 2013, for what should be the fourth consecutive year of year over year auto trends growth.